I am putting this here, because we don’t seem to have place for browsers yet and this really isn’t a question as such just something to see what this community thinks. Okay friends, what is your favourite browser and why. I don’t like Firefox at all and take it off completely. Looking at what else was available, well everyone seemed to have their own favourite browser. I tried most of them, to see which I lived best. Vivaldi came out ahead, because of it’s customisation and for me ease of use. Opera came a close second, but since the latest updates it is far too close to Chrome not to just be Chrome. So Vivaldi is my choice so what is yours ? Is my laptop too old to run Mint 19.1? I actually wanted to start with Vivaldi, because it is pretty unkown for how good it performs. All other good browsers are well known. The remaining unkown browsers that come to my mind aren’t good, so I won’t list them here. I use Chrome, mainly for google account integration and syncing across all my devices and platforms. I know it’s a bit of a ram hog, but it works great and has yet to fail me. Firefox. I value its privacy and independence from the all powerful Google. It’s performance is as good as you’ll get. Vivaldi is promising but it’s still got a bit to go. I use Opera. It has much of the power of the google, but doesn’t use nearly as much resources. Prefer Firefox, use Chromium with Gmail, when Firefox can’t seem to open a new email. Tried other browsers, nothing against them. I was a Firefox user for years, always trying to convince my fellow people to use it instead of proprietary ones like Opera or (god forbid) Internet Explorer. So long story short, I started to use “PaleMoon” as an alternative and find it very good (as of now). I had Chrome, Firefox and Opera with Midori for specific purposes. Chrome was for general use and web development. FF was my immediate backup. up and they kept messing with the development. FF and Chrome to split my workload. the others to log out so I started using it more. Opera was bought by the Chinese so I dumped it completely. Chrome started using more memory and became a security problem. cpu usage but I have ff add-ons to help with that now. Midori I use specifically to watch CBS shows on cbs.com. Firefox mainly. A few extensions, about:config tweaks and Duckduckgo seem to work and provide a bit of privacy. Tried Brave but too many bugs like right-click not working or opening page in new tab. Wanted to like Falkon and Midori but no Bitwarden password manager. Extensions and password managers. Think there’s 2 new topics there. In the Moment i prefere Vivaldi as my default Browser. Its higly custumizable. Well designed skin and UI. Accepts my Google Account without any restrictions. I think its time to get Vivaldi a Chance. I’ve been using Vivaldi for almost a year now and love it. Feature rich and easy to use. I’ve found it to be very stable. Love the print preview, almost like Chromium’s. Brave is also good with less features but no print preview. I use them both but Vivaldi is king of browsers in my book. Firefox for me. I was a Netscape Navigator user back in the old days of Windows 95 - I didn’t really trust M$ even then, and Internet Explorer 4 was the final straw - so moving on to Firefox was a natural step. I like it because it runs on everything, and I’ve got used to the tweaks I need to make to get it working the way I like. Firefox because I’ve used it over 10 yrs. However, I’ve been getting familiar with Opera, Vivaldi, and Brave. Maybe I can better answer the question in a yr or so. i am pretty simple in my browser need and use. logging my firefox into sync and changing the default search to duck duck go are about as fancy as my modifications get like you said in a previous post, i have been using it for better than a decade and for those purposes it just works. will definitely give vivaldi a whirl. installed and playing with set up now. 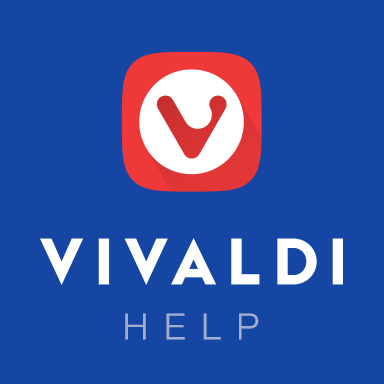 The Vivaldi browser is not made available under one unified open source license. Find out more about how to audit the source code of Vivaldi. gotta admit seeing bing as default search engine made me scratch my head a bit. I don’t think that’s necessarily bad. The first thing I do, when doing a fresh browser install is changing the default search engine. It’s easy to do this for every browser user. Therefore, I think it is okay if they get tons of money from microsoft for letting bing be the default, while you can change it and completely disabled it forever, anyway.